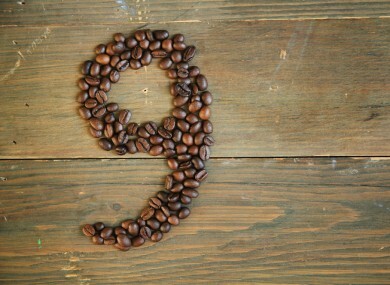 EACH DAY, TheJournal.ie brings you nine things you should know with your morning cup of coffee. 2. #SPAIN: The country is in three days of mourning after the train crash that left 80 people dead near the city of Santiago de Compostela in Galicia, while the train driver is set to questioned by Spanish police. 3. #AUTOPSIES: Portakabins are being used for autopsies of murder victims, The Irish Daily Star is reporting today. The buildings in Marino in Dublin are covered in stainless steel for hygiene purposes, but gardai believe that the system is not good enough. 4. #SYMPATHY: Minister for Small Business John Perry is ‘like thousands of small business owners across the country‘, his fellow junior minister Brian Hayes has told TheJournal.ie. Questions have arisen over Perry’s suitability for the role following a €2.47 million judgement made against him and his wife on Monday. 5. #RADIO WAVES: Joe Duffy is more popular than the news, according to the most recent Joint National Listenership Research survey (JNLR) results. RTÉ shows Morning Ireland, Miriam Meets and Marian Finucane were the big winners, while Today FM’s Ian Dempsey, Ray D’Arcy and Matt Cooper all lost listeners. 6. #APPEAL: The family of Deirdre Jacob are appealing for information on the Newbridge woman who disappeared 15 years ago this weekend. She was last seen at around 3.30pm on Sunday 28 July 1998 at the gateway to her home. 7. #FOSTERING: New reports from the Health Information and Quality Authority (HIQA) have given an insight into foster care in Ireland. The reports show that just one quarter of inspections found a satisfactory level of child protection. 8. #JOBS: Pharmaceutical company Alexion is to create around 50 jobs in Dublin. The company is opening a new office and laboratory facility and has already begun recruiting. Alexion makes blood disorder medication Soliris. 9. #SQUIRREL! : You don’t expect to talk about The Plague on an average day. Unless, of course you’re a 14th Century Venetian merchant. However, a Los Angeles forest park has been evacuated after a squirrel was found carrying the disease, also known as The Black Death. Which is worrying.